UPDATED: Thu., Feb. 7, 2019, 7:16 p.m.
Robinson, the only player to earn the MVP award in both leagues, died Thursday at 83. He had been in failing health and in hospice care at his home in Bel Air, California. MLB said he was with family and friends at the time. “Frank Robinson’s résumé in our game is without parallel, a trailblazer in every sense, whose impact spanned generations,” Commissioner Rob Manfred said in a statement. 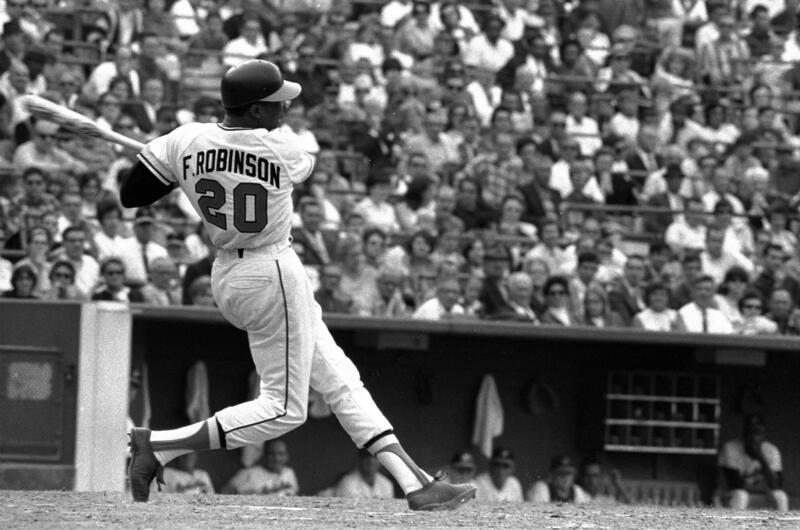 Robinson hit 586 home runs – he was fourth on the career list behind only Hank Aaron, Babe Ruth and Willie Mays when he retired and now ranks 10th. An MVP with Cincinnati and Baltimore, he won the Triple Crown while leading the Orioles to their first World Series championship in 1966. Published: Feb. 7, 2019, 1:21 p.m. Updated: Feb. 7, 2019, 7:16 p.m.